On Monday, China’s National Bureau of Statistics chief, Ning Jizhe, told reporters that China’s economic growth for 2018 stood at 6.6 per cent. This has since triggered media blitzkrieg as it happens to be China’s slowest since year 1990. Year 1990 was followed by China hitting over 13% of growth rate during 1992-1993 resulting in panic about overheating of China’s double-digit growth and Zhu Rongji was invited to take over as Premier with sole motive to ensure soft-landing of China’s economy. President Xi Jinping has been struggling with a similar soft-landing for last five years shifting from debt-driven high growth rates to sustainability, equity and justice. What concerns rest of the world is that during last two decades China’s continuations to global economic activity have increased from 7 to 19 per cent making its growth account for over one-third of global growth. Moreover, in the backdrop of global economic slowdown since 2008 China’s trade with and investments in advanced economies has been characterized as the locomotive bailing them out of recession onto low growth rates and now infrastructure building spree under Beijing’s Belt & Road Initiative is seen contributing to the growth in several developing and least developed economies. Then, does slowdown in China’s growth mean slower growth for all its partner countries? Second, it is not a simple matter of decline from 6.9 per cent for 2017 (now revised to 6.8 per cent) to 6.6 per cent for 2018. China’s growth rate for this year’s third quarter fell to 6.5 per cent and 6.4 per cent for the fourth quarter and is expected to slide further to 6.3 per cent for 2019. For its trade-led development model, the month of December saw China’s exports sliding by 4.4 per cent and its imports undergoing a shock-drop by 7.6 per cent. 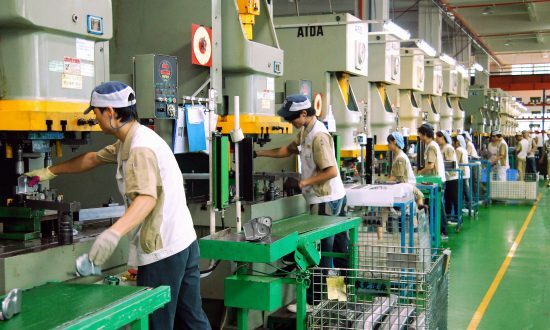 And on the eve of their week-long Spring Festival, there were whispers of workforce layouts and production in some cases falling by 50 per cent. The psychological impact of such a slowdown in world’s second largest economy — with its 90-day truce in its trade war with the world’s largest economy coming to an end on 2nd March with no trade deal in sight — have triggered speculation worldwide. Speculations about the likely impact of China’s slowdown have already been ignited by direct insinuations from major market players and opinion makers. Tim Cook and Kinam Kim, chief operating officers of Apple and Samsung have blamed the fall in sale of their merchandise on U.S.-China trade war and the resultant weakening spending power of Chinese. Automobiles are another sector hit by slowing demand by the Chinese. The next round of U.S.-China trade talks, due for January 30th, is not expected to make any headway for a trade deal given their stringent posturing especially in Trump’s tweets. In all likelihood, March will see U.S. ramping up its tariffs from existing 10 to 25 per cent for its further $200 billion worth of imports from China. With presidential election fever rising in the rest of this year, the world may see Trump slap similar tariffs to the rest of its imports from China. But is all lost in this game or is there any other side to this story? A careful sifting of commentaries shows that there are also insinuations that this gradual slowdown may be carefully managed by the Chinese leadership. Beijing has been trying to rein in its expanding national debt that today stands at over 300 per cent of its total economy. Indeed, the official figure for growth rate for 2018 was set at 6.5 per cent which makes 6.6 per cent announced by National Bureau Chief impressive. Also, to reassure citizens against any rumors about massive layouts, Beijing has already announced a modest stimulus of US$193 billion that includes fast-track construction projects, tax cuts for smaller businesses, lowering of reserves that banks are required to hold and lowering interest rates, as also lower import duties to spur demand during the Spring Festival time. More such measures may be announced at their annual National People’s Congress in March but no major bailout is expected as that may spur further expansion of the national debt that the leadership is trying to rein in. It is also important to underline that China has not stopped growing; that 6.6 per cent growth rate is not a small feat for such large sized economy. It means that in 2018 China expanded its economy by an additional $1.08 trillion reaching $13.26 trillion. It is like adding economic might of a Sweden, a Norway and a Finland into China in just one year’s time! Experts believe this has deeper undercurrents as well; that it perhaps marks a gradual drift from foreign investments-fuelled debt-ridden economy to one led by Xi’s drive for ensuring environment, innovation and domestic consumption as the driver in taking China away from being world’s cheap-price manufacturing sweatshop towards a home for globally celebrated brands. On the positive side, this shift may see some Chinese companies shifting production to relatively cheaper destinations creating new opportunities for its reliable partner countries. Of course, China remains the biggest trading partner for most countries. China is also integral to global production and supply chains where each of its partner states has a share in China’s imports and exports statistics. So, does slower growth for China mean slower growth for each of these? To some extent this correlation may be valid, yet their China connection remains only one of the variables determining the nature and pace of their economic activity. This impact will also vary depending on the extent of their dependence on Beijing. Therefore, unless politics intervenes as it has done in case of the ongoing U.S.-China trade war and complicate matters, a piecemeal premeditated and well-calibrated slowdown should allow both China and each of its partner nations to redress negative effects of these short term downtrends that may ensure long term sustainability. (The author is Professor at Jawaharlal Nehru University, New Delhi and Senior Fellow, Institute for National Security Studies Sri Lanka Colombo).